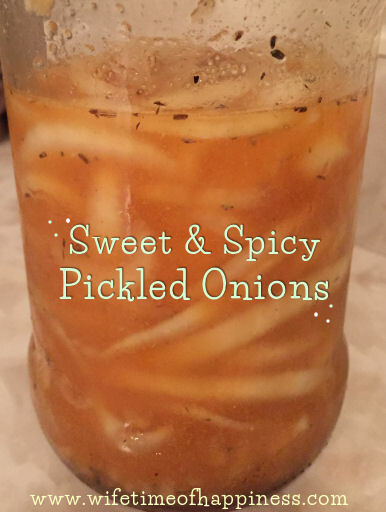 These Pickled Onions are so super easy (and delicious) they make a perfect addition to burgers, hot dogs, marinara sauce – You name it! The best part about these pickled onions is, I bet you have all the ingredients already on hand – So let's get started! This entry was posted in Recipes, Side Dish and tagged Canadian Blogger, Canadian PR Friendly Blogger, Canadian Review Blogger, easy pickled onions, easy pickling, easy sweet onions, Hire a Blogger, how to make pickled onions, Onion Recipes, Onions, Pickled Onion Recipe, Pickled Onions, pickled onions recipe, PR Friendly, PR Friendly Blog, PR Friendly Blogger, PRFriendly, Product Review Blogger, Review Blogger, spicy pickled onions, sweet and spicy pickled onions, sweet pickled onions, Vegetables.